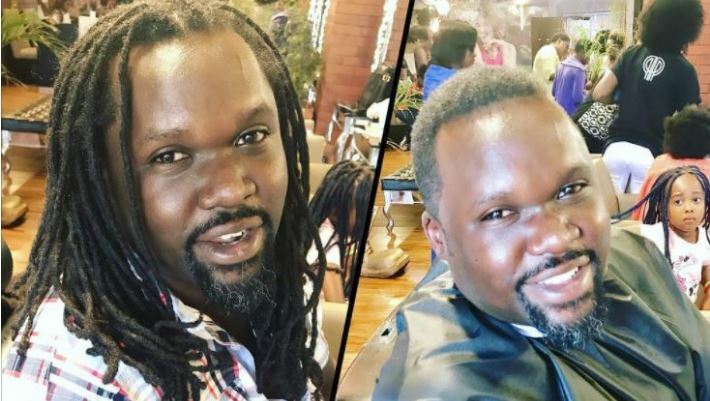 Seasoned radio personality Nick Odhiambo last year shocked many of his fans when he decided to cut down his trademark dreadlocks. While the radio host initially revealed that he cut the dreads to commemorate Cancer Awareness Month, it turns out there was a deeper reason behind the drastic transformation. Speaking during K24’s Talk Central show hosted by Kalekye Mumo, Nick Odhiambo revealed that he decided to change his life for the better after a brush with HIV/AIDS from a girl he was ‘messing’ around. When the test results cleared him, an ecstatic Nick promised God he will change his ways and live according to his will and he will never let him down. “Everything just started happening, I changed houses, changed girlfriends, the only thing I had remained was the job and the look. So I got a job at a Swahili station and as things were going on I just had to get rid of the look. That’s how the look changed,” he added.